Elite athletes are increasingly looking for ways to optimize their training and increase their competitive abilities. Companies such as Misfit and Adidas are developing wearable devices to enable athletes to maximize their sporting ability-through collecting an extensive range of analytics including stride length, cadence (for cyclists), muscle fatigue, heart rate and lung capacity. Kenzen is a start-up utilizing patented biosensors, sweat analysis, and predictive analytics with the aim of pre-empting dehydration, cramping, and injuries. In 2016 Kenzen won the Future Athlete category at the NFL’s 1st and Future Event, a start-up pitching competition hosted by NFL, Stanford and TechCrunch. Monitoring and analyzing sweat, in conjunction with other parameters, can reveal important biomarkers like sodium that can help predict and prevent major health issues connected with nutrition. For example, people who are hypertensive can watch their salt intake based on ongoing sweat analysis. Measuring levels of hydration are also relevant to people working in extreme conditions, mining and factories, kitchens and hot places here fluid loss through sweating can lead to dehydration. However, traditionally the question of how to monitor sweat has been a barrier to sweat analytics. Sweat is traditionally analyzed at performance labs. required testing before and after a work out nad several weighing sessions for hydration analysis. Samples are captured on a piece of gauze from multiple areas of the body. The chemical analysis of those samples takes hours or days. 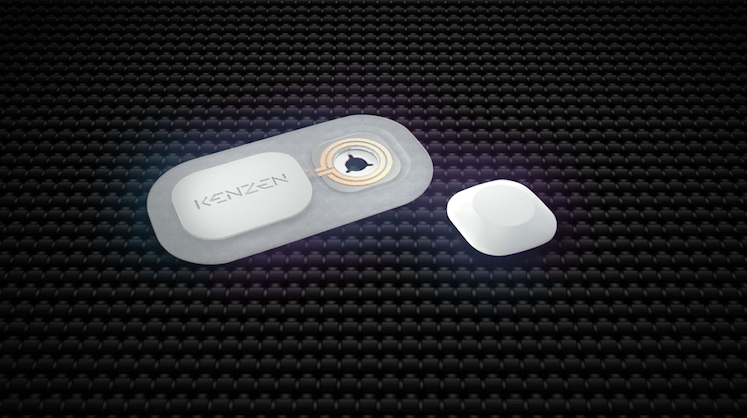 The team at Kenzen have created ECHO H2, a wearable that includes two components: a hardware-based continuous sports monitor, and the flexible H2 Smart Patch. ECHO is based on groundbreaking technology developed for aerospace and medical research in Switzerland. This rechargeable device combines a number of sensor technologies and algorithms that provide real-time feedback on sports performance and vitals. ECHO captures previously inaccessible measurements like skin conductivity and 3D motion. H2 is a disposable adhesive patch that, when connected to the ECHO monitor, enables wearers to monitor hydration, lactic acid and calorie levels using sweat analysis. It can be worn on the calf or abdomen for up to one week. 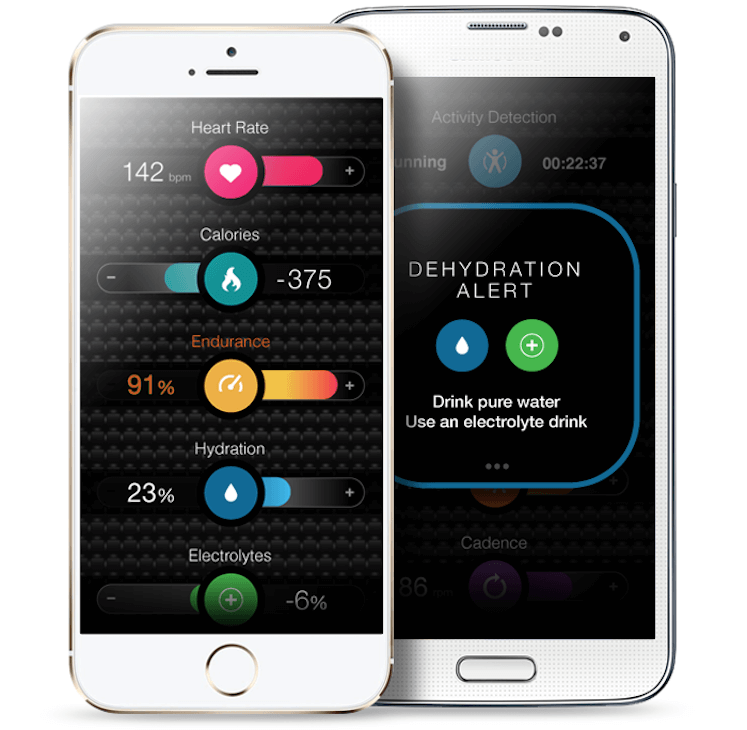 A corresponding app enables the user to monitor levels and export data to other fitness apps. ECHO H2 is yet to go to market as the company continues hardware development. 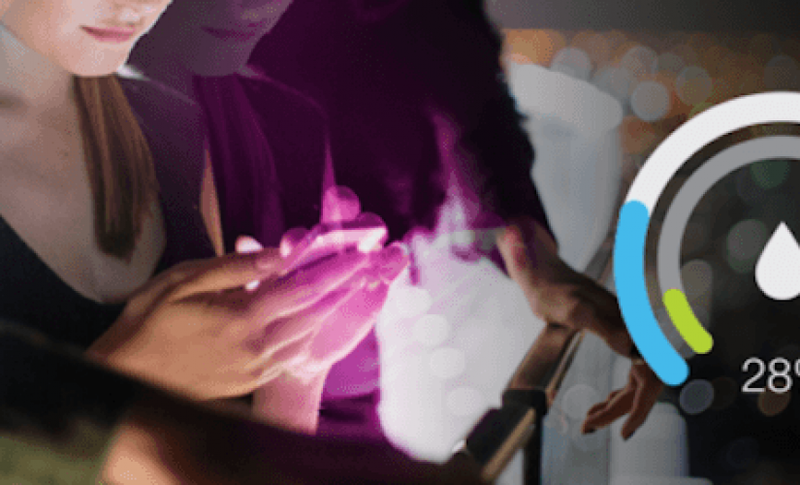 However, with companies like XSensio, BSX Technologies and Halo Wearables engaged in related efforts to track hydration, the wearables market could become overcrowded very quickly. But for those wanting greater insights into their physical health, Kenzen offers a great opportunity for self-analytics.